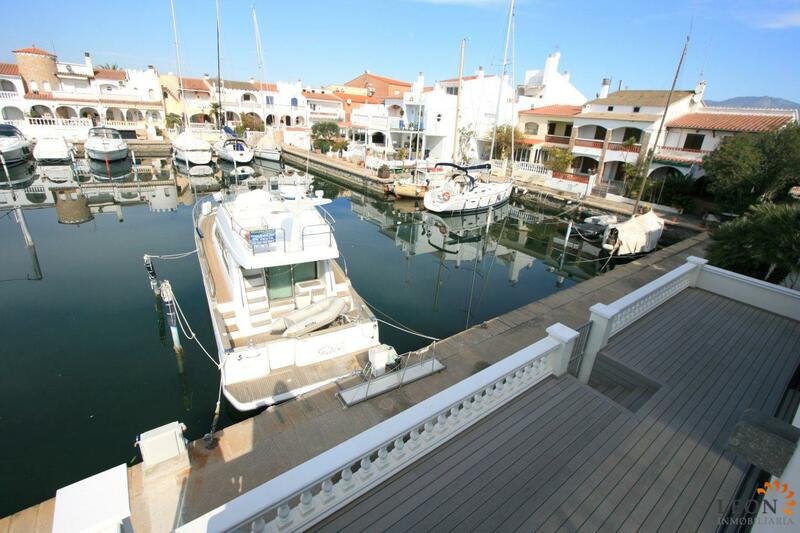 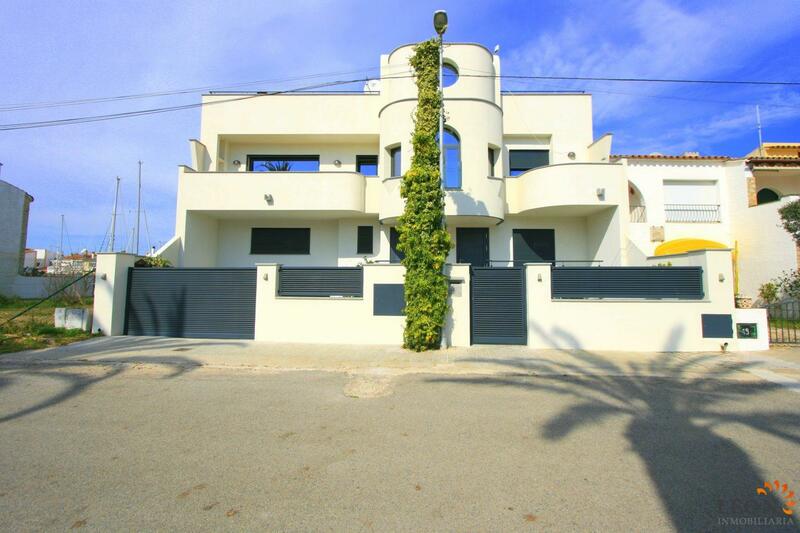 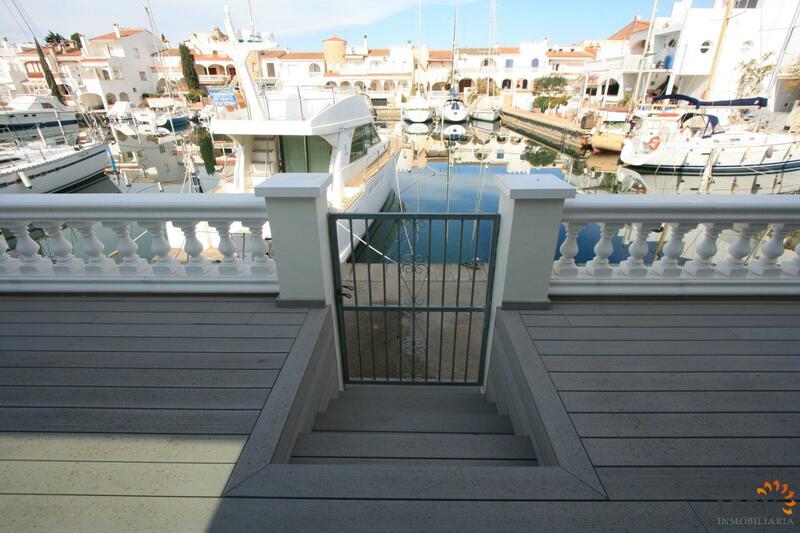 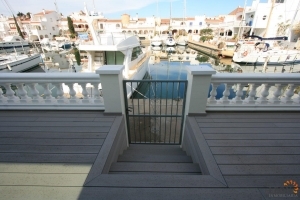 This fabulous villa is situated before the bridges in the marina sector of Empuriabrava and has recently been constructed to a very high standard. 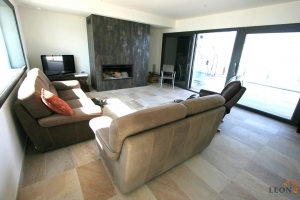 The floor area measures 184 m² and consists of 4 double bedrooms, of which 2 are ensuite, 4 bathrooms and a guest toilette, a beautiful living/dining room with a fire place, a modern, fully equipped American style kitchen, a dressing room, laundry room and office. 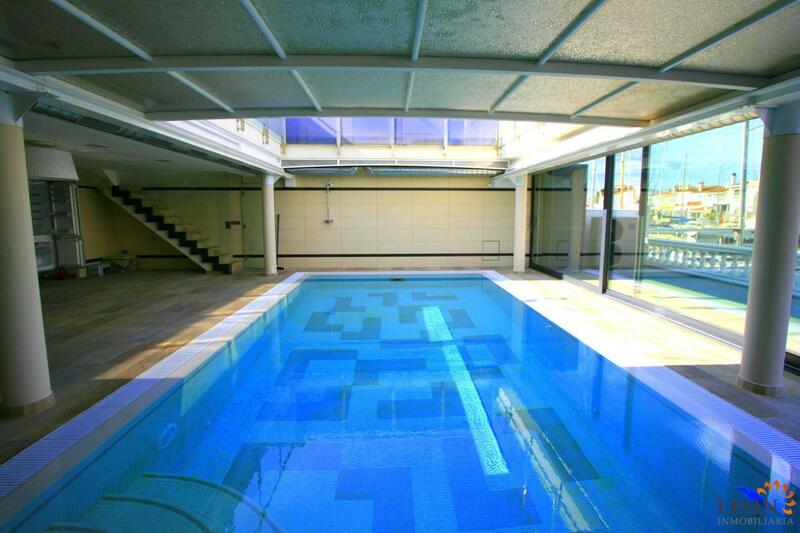 Additionally, there is a large underground garage with space for 3 cars. 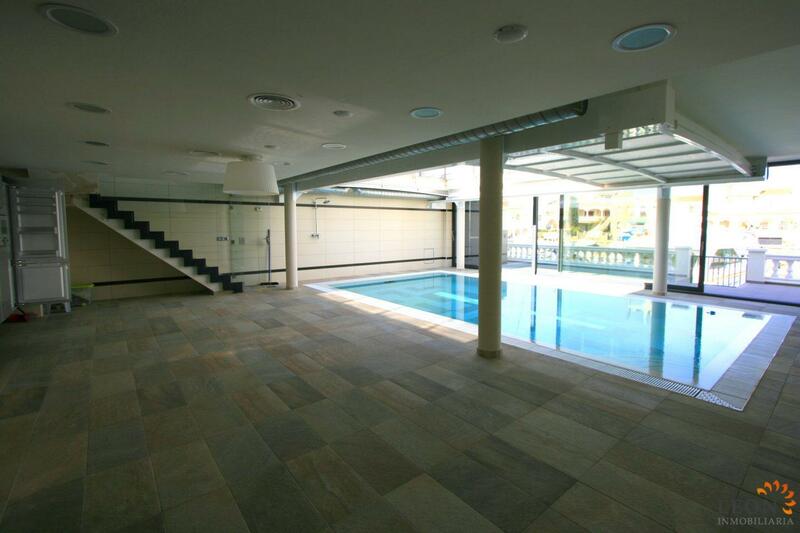 The villa is built around a covered atrium which features an indoor swimming pool at ground floor level. The roof can be opened, turning it into an outdoor pool. 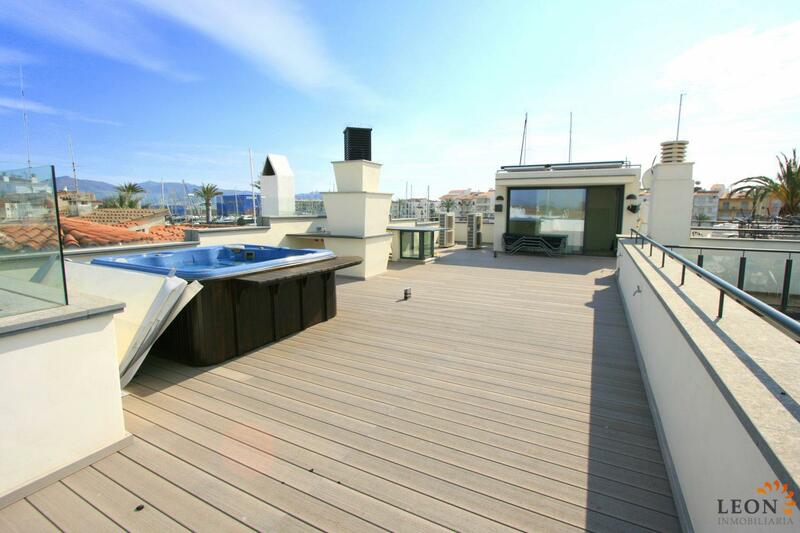 Terraces on the first floor and the roof enjoy a wonderful view onto the pool. 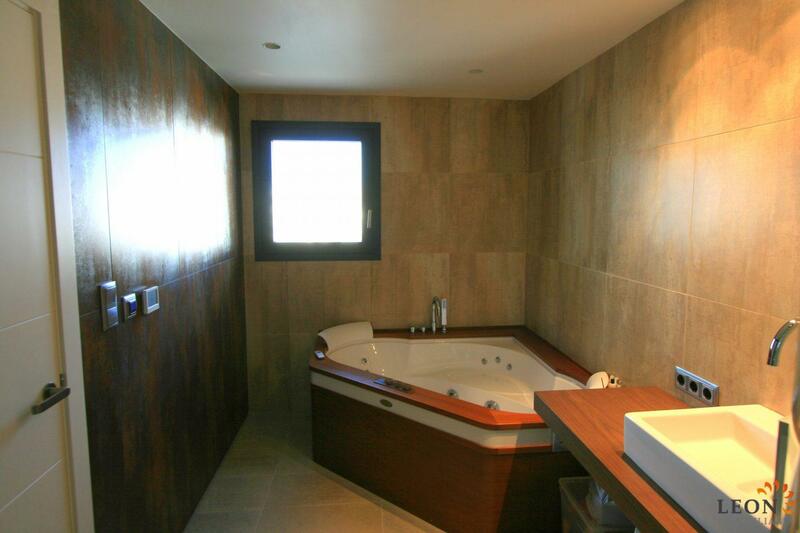 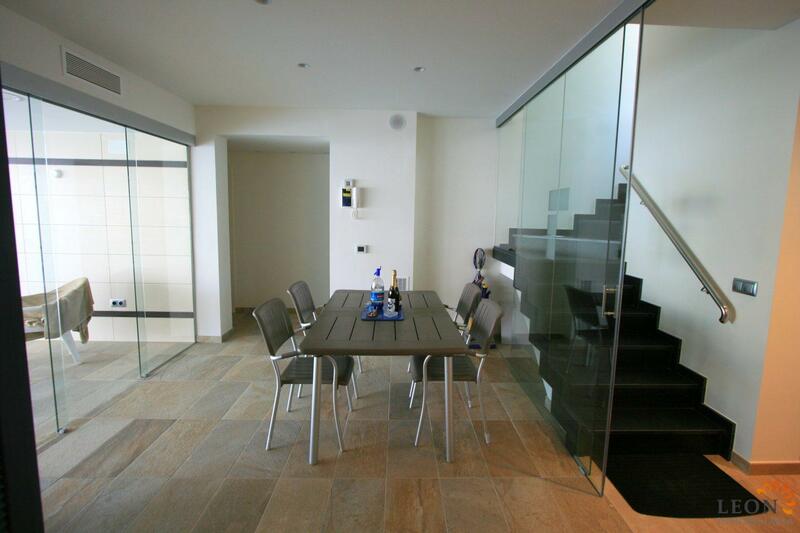 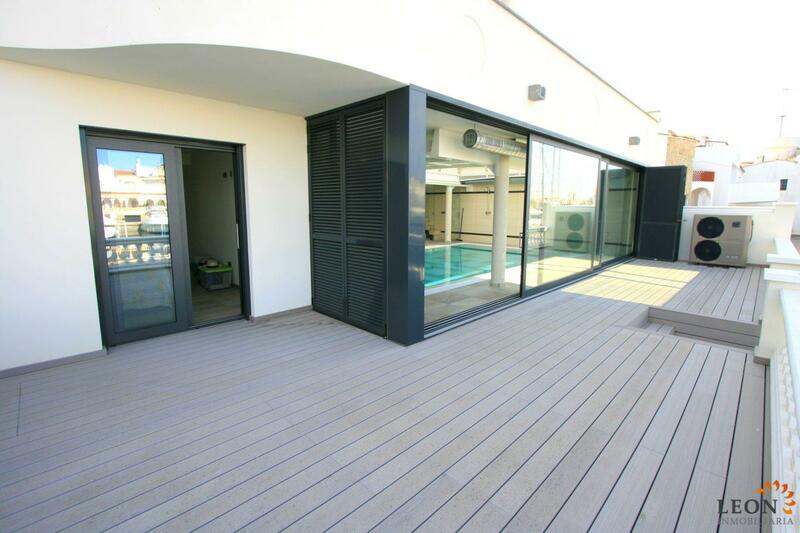 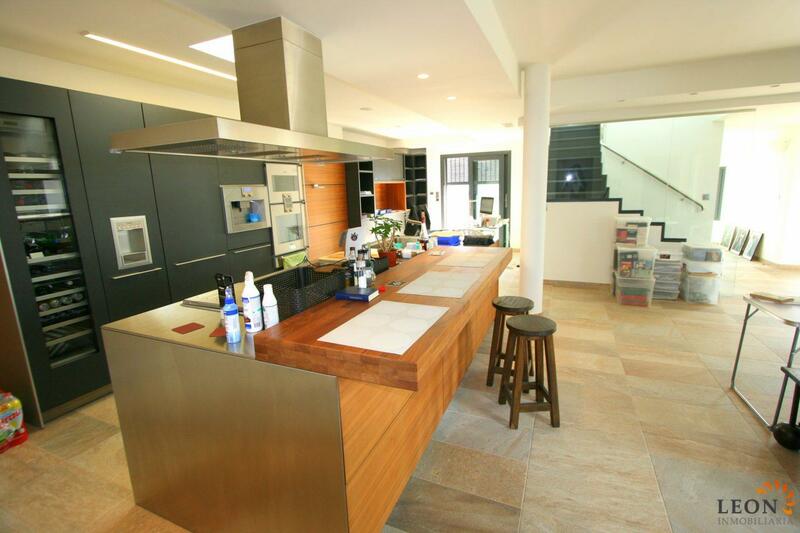 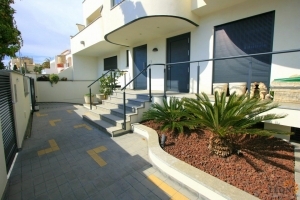 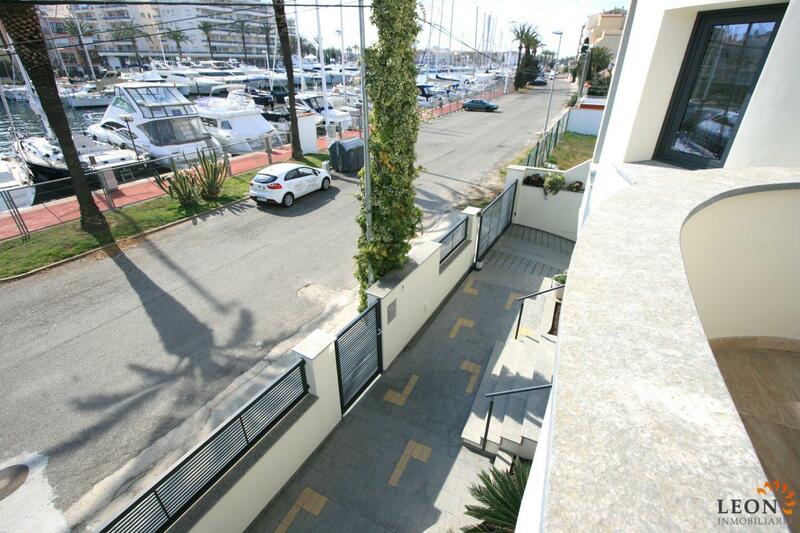 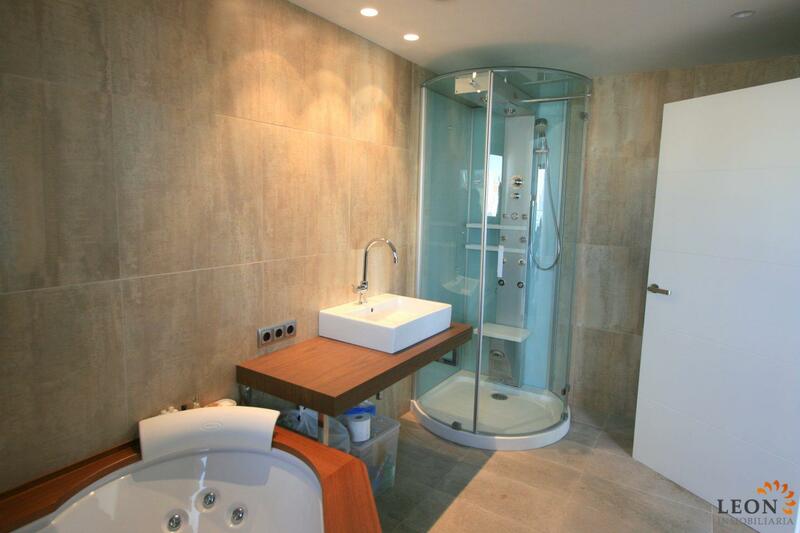 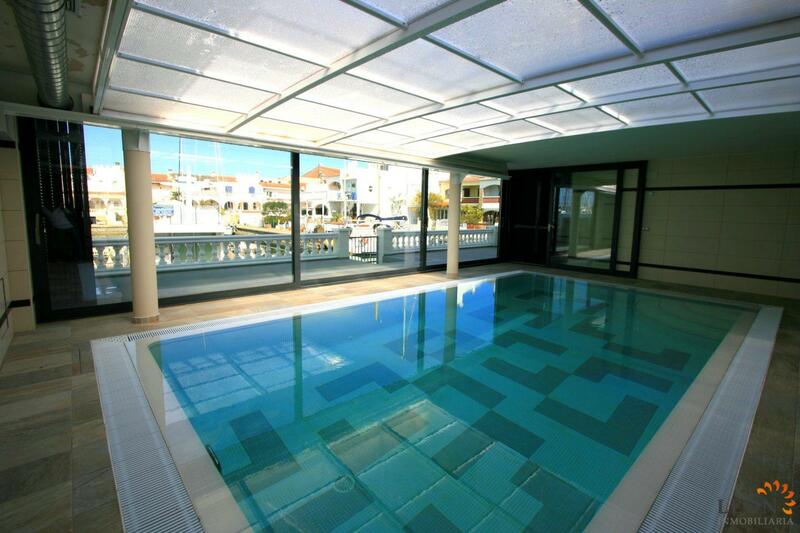 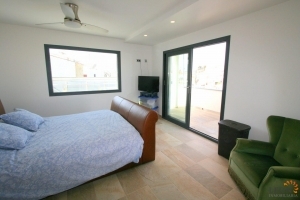 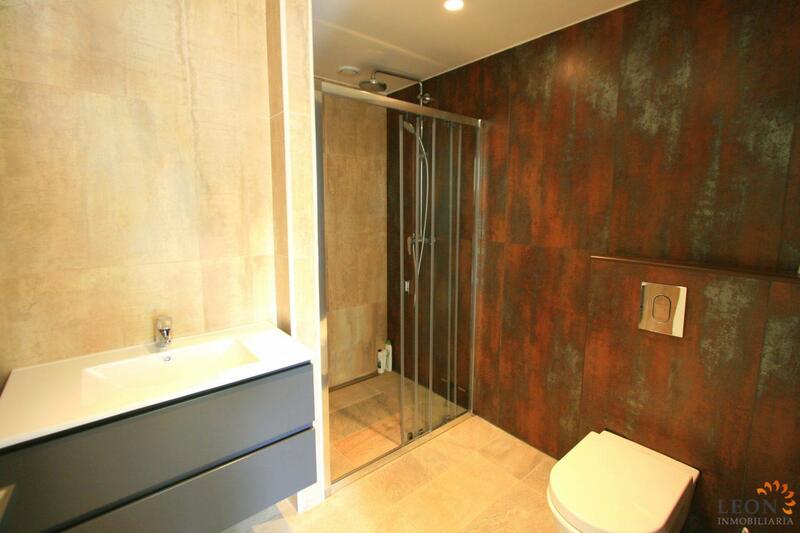 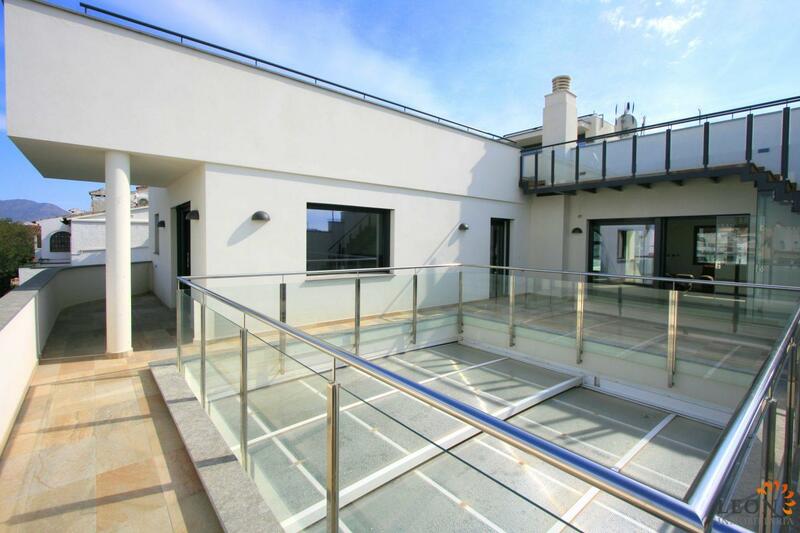 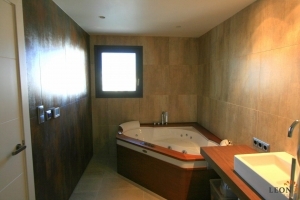 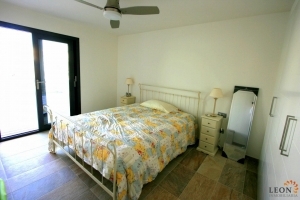 The property has many interesting features like a lift, electric shutters and both an inside and outside Jacuzzi. 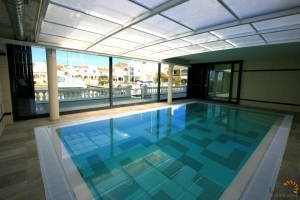 Part of the electricity is generated by solar panels. 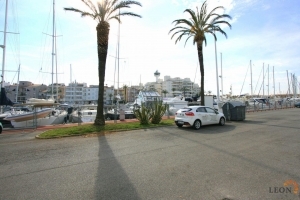 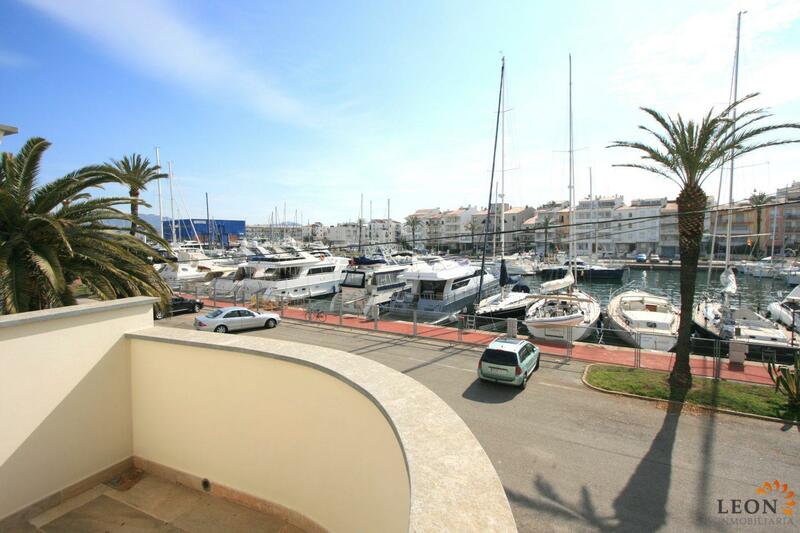 Situated near the centre of Empuriabrava, shops, restaurants and the gorgeous golden beach are all within walking distance. The beautiful beaches of Santa Margarita and Roses are easy to reach by car, as is the historic town of Castelló d’Empuries or the charming coastal village of Cadaqués, with its idyllic port and multitude of restaurants. Additionally, Empuriabrava and the surrounding area offer a large range of recreational opportunities like skydiving, all kinds of water sport activities and golf, as well as numerous historical attractions such as the dolmens of Alt Empordà, and the beauty of nature preserved in the national parks of Aiguamolls and Cap de Creus. For further information about this villa, or indeed other Spanish properties, please contact LEON INMOBILIARIA by email or telephone at our main office in Empuriabrava: (+34) 972 45 00 37.